About three weeks ago, I watched a commentary on CBS Sunday Morning about “death by selfie”. You may have heard this is an actual occurrence in our world today where people come into harm’s way while trying to take the perfect photo of themselves on their mobile phone. The commentary went on to talk about how selfies, and the proliferation of camera phones in general, have caused us to stray from enjoying the moment, most importantly when we travel. The CBS story showed tourists crowding around the Mona Lisa, many with cameras raised high to take a photo, and the reporter wondered how many people simply enjoyed taking in the beauty of the Mona Lisa. This behavior, according to the reporter, relinquishes our recollection of people and places. In essence, we have no memory of the event or special occasion because we spent all our time uploading photos and posting them to social media. We didn’t take time to remember the feeling and emotion of what we saw or did. The commentary got me thinking about our digital world and online reviews. Today, we can’t use an app or make an online purchase without being asked to review it. At The Livingston Inn, we are just as guilty at it, but we know it’s a very critical and required component to ensure our business succeeds. And we love our reviews, too. We have received so many kind and thoughtful comments from guests, and we greatly value the time it takes for them to write something. 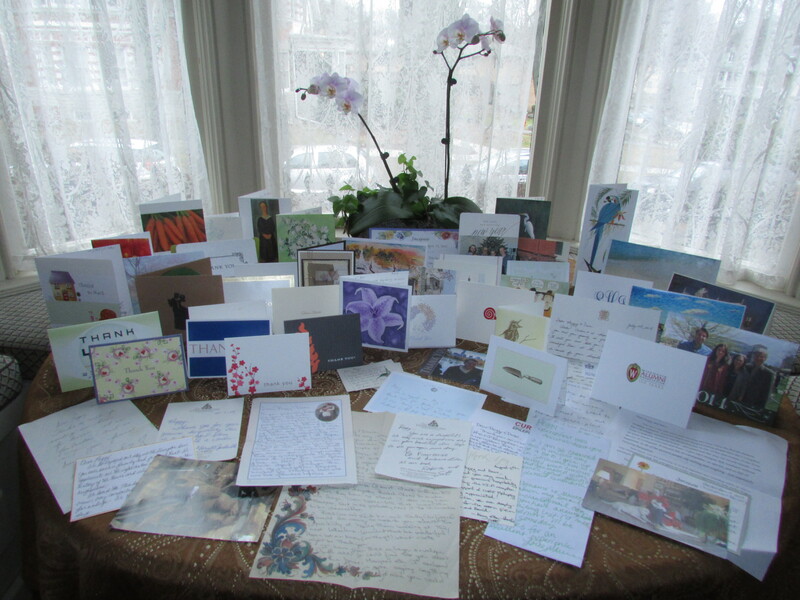 We read them all and feel supported for all the hard work we’ve put into our B&B. 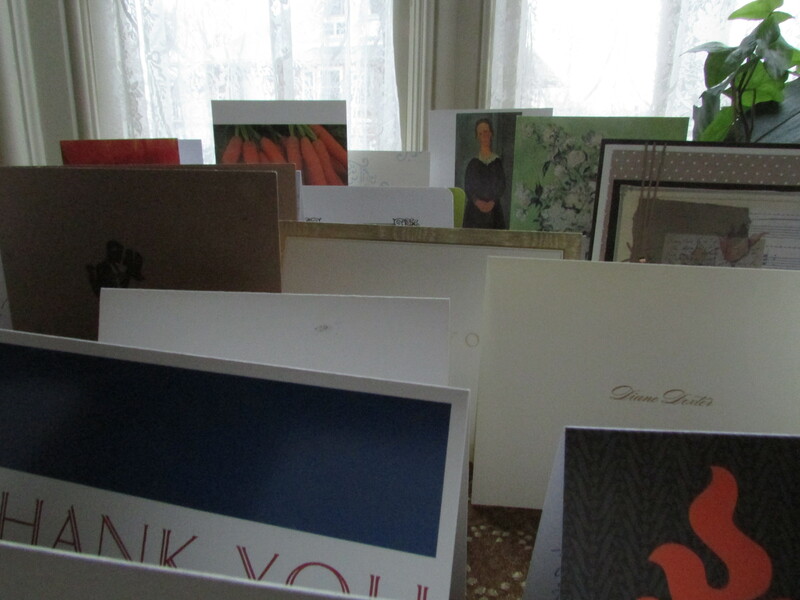 Since we opened in 2011, we have also been honored to receive many handwritten thank you letters and notes. 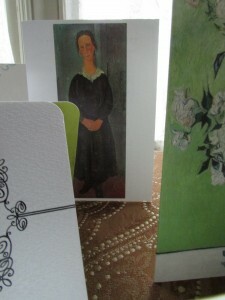 We have placed each one in a large manila envelope kept in a chest in our front parlor. As I pondered online reviews and “death by selfie”, I thought it might be a good time to take a look at the contents of the envelope. 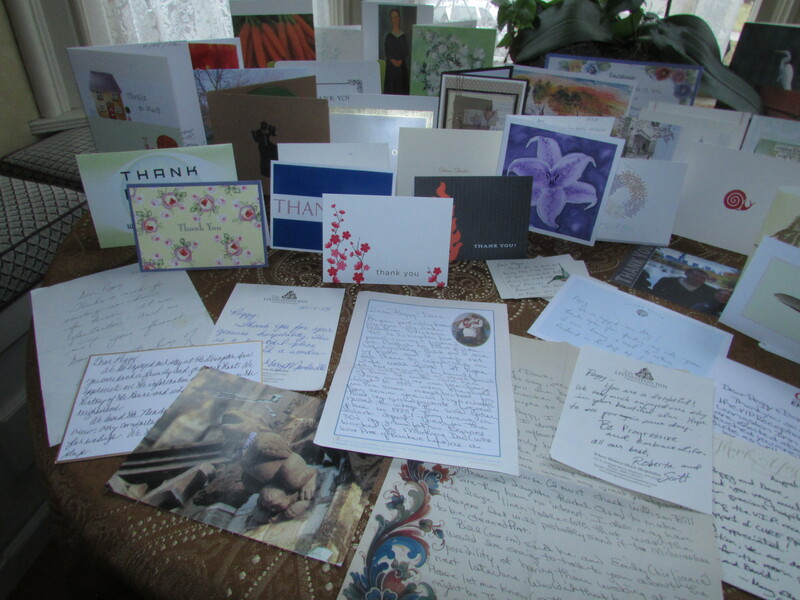 As I pulled out each piece of correspondence, it was a beautiful example of the not-yet-lost art of the handwritten thank you letter. The beauty of the experience was not the self-centeredness of receiving praise (although most everyone finds praise rewarding, whether in their career or personal life) but the feeling of connecting to the writer. I don’t understand the psychology of it, but that feeling could come from many places. It could be sensing someone’s uniqueness through his or her handwriting style, stimulating a memory or two when reading the words, or the simple tactile sensation of holding a card or piece of paper. 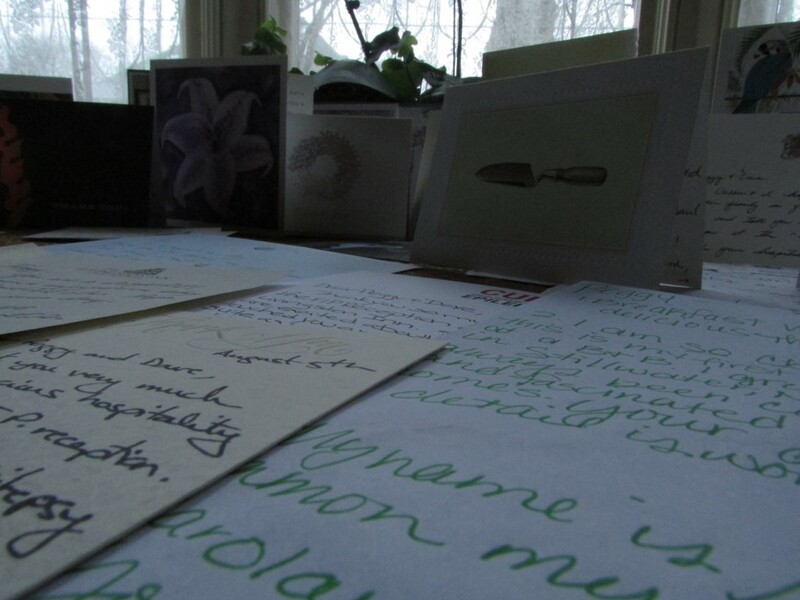 And it’s important to note that, some assumptions aside about the younger generation, the thank you letters have been sent to us from people young and old, near and far, and many walks of life. 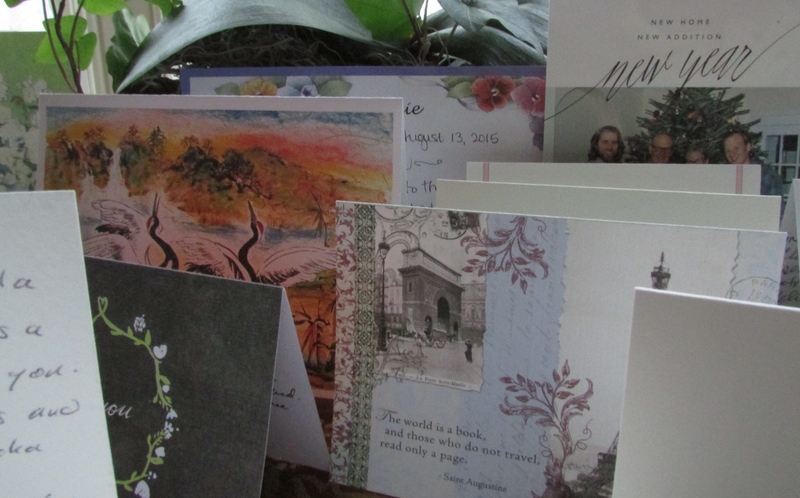 The time I spent taking out each note, card, and letter, reading them, and then placing them together was quite powerful. 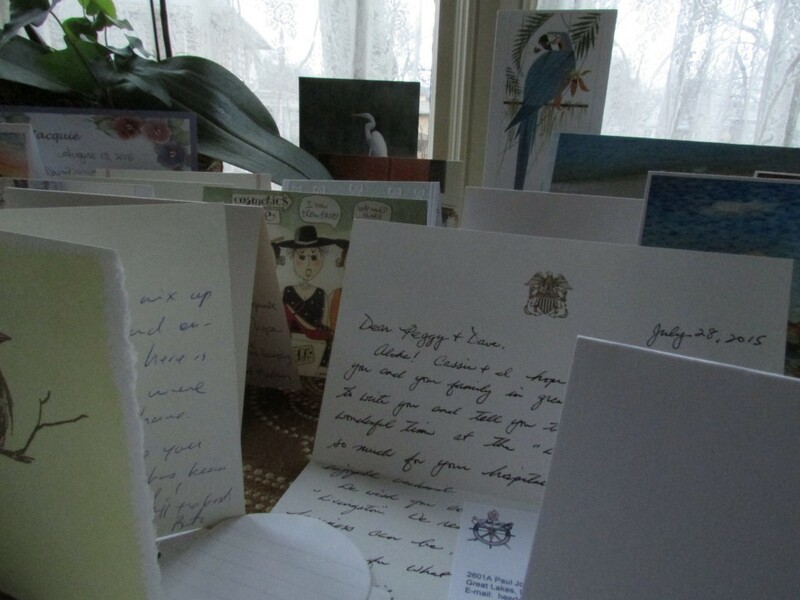 It made me very happy that, despite all the stuff in our lives, people take the time to write thank you letters and that Peggy and I have made the effort to hold on to them. I am grateful for the many things and experiences we have in today’s world — mobile phones, our capabilities to travel and see the sights and cultures around the world, and even the ability to conveniently read a review about almost any item to purchase or a place to visit. They all are admirable accomplishments in the 21st century. But I am also very appreciative of this manila envelope inside a chest in an old historic home in Madison. It holds something very precious, something perhaps many years from now that another person will open to remember how humans are connected and what life was like at The Livingston Inn during its early years. It holds a gift of words written in a very personal way that, despite an online world that saves everything, endures because it has a timeless quality like a cherished piece of art.